What a week of mixed emotions! The weekend was great but these week days have been a different story this past 7 days. We are definitely in a time of transition as a family. 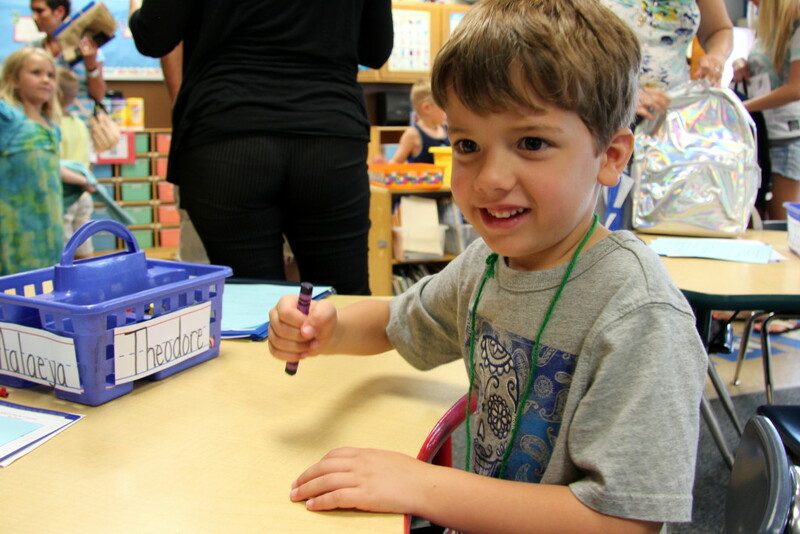 Theo starts Kindergarten this year and Dexter will have a new teacher and be brotherless at Montessori School. It’s been an extremely busy week between trying to get things ready but we managed to squeeze in a lot of fun Friday, Saturday, and Sunday. 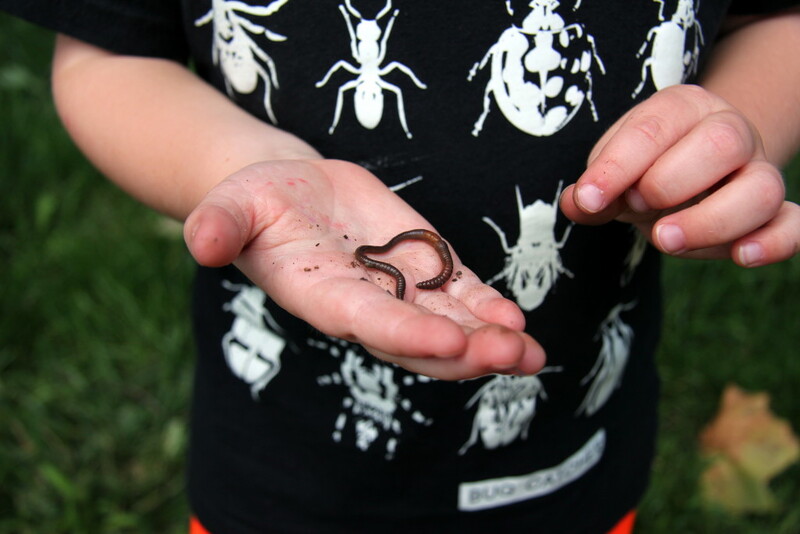 Linking up with Mindi,Stephanie, and Carrie for week 30 of Catch the Moment 365. 204/365: Thursday July 23rd. This day marked 8 years since my father passed away due to pancreatic cancer. Ryan knows this day is hard for me. I met a friend for dinner and meanwhile, my 3 special guys picked up a couple of pick-me-ups. Oh, I wish my dad was around to know my kids. 205/365: Friday, July 24th. At work, we had a team-building activity. 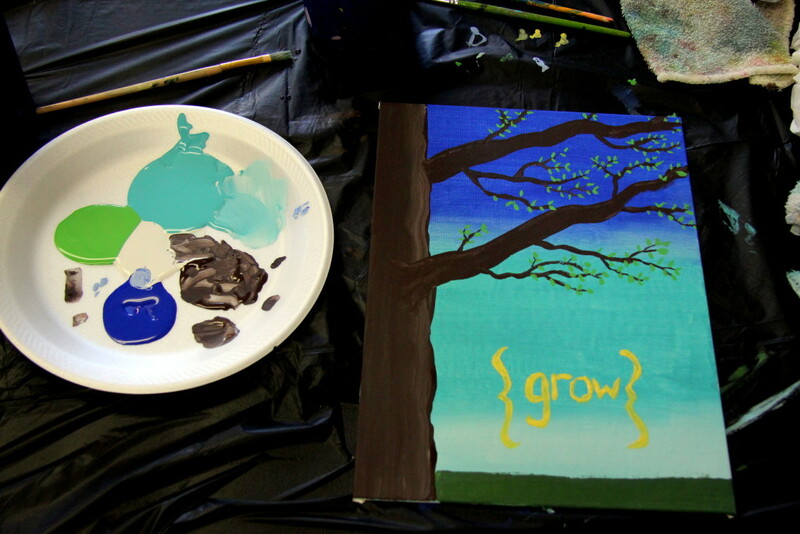 I had never done one of these canvas class thingies but it was really fun. Another highlight of the day was finally meeting up with the boys’ best friends -another pair of brothers – from Montessori school at the park in the evening. Theo and Dexter had been missing their little buddies and they were so happy to get together after 2+ months apart. 206/365: Saturday, July 25th. Luke Bryan concert with friends!! An annual tradition. So much fun. 207/365: Sunday July 26th. Another summer lake day at my in-laws’ house – these are too few and far between. We are trying to squeeze every drop out of summer! 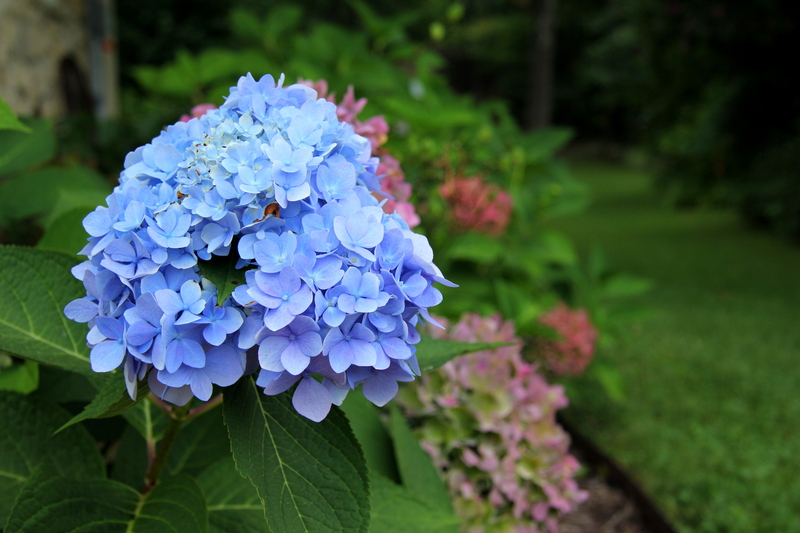 I am in love with my mother-in-law’s blue hydrangeas. 208/365: Monday July 27th. Monday was a Monday in every sense of the word. Little things…big things. It just seemed like everything was going wrong. I overslept. Broke my only ponytail holder with hair that looked like I’d overslept. Spilled coffee all over my white shirt. Found out Dexter’s Montessori teacher is not coming back this year. Got a call from summer camp because Dex had a fever. Took Dex to the doctor to find out he had swimmer’s ear. And on and on and on. Forgot to take a picture until about 1158pm…this was all I could manage. 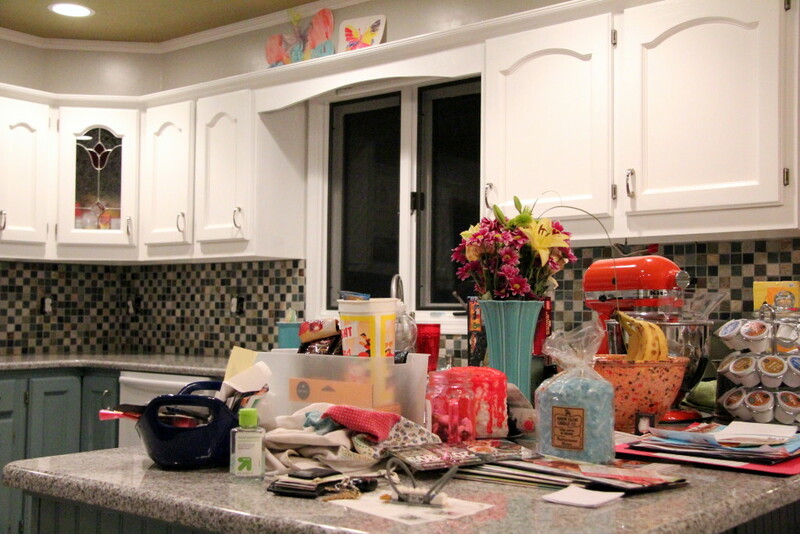 My pathetic countertop. 209/365: Tuesday, July 28th. On Tuesday, we found out that Theo’s Kindergarten teacher had quit and would only be in the classroom the first 2 days of the school year. Of course this didn’t sit well with me. 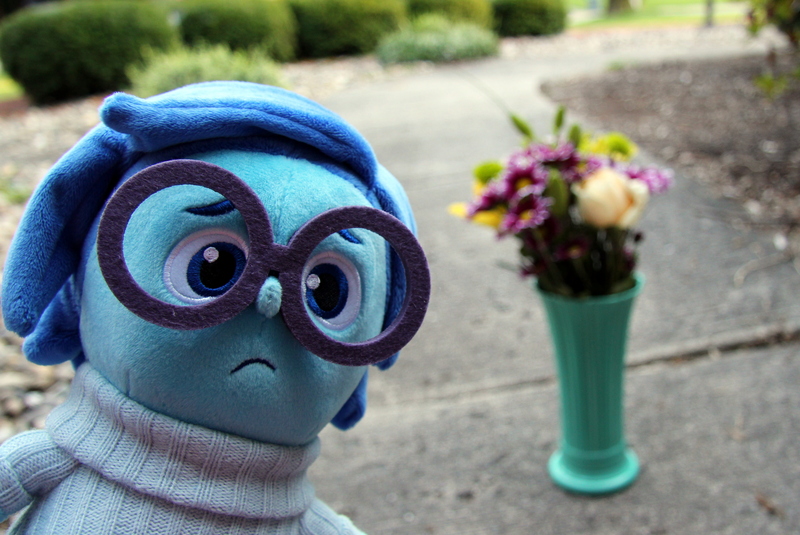 Tuesday was a very emotional and stressful day. Theo was quiet and shy at back to school night, not interested in saying hi to anyone and almost hiding behind me. I know he isn’t like that in my absence. I felt bad, seeing him acting nervous about Kindergarten for the first time. Afterwards, I laid in bed with him for awhile and asked him how he felt in his heart. He said “half red, half blue.” I’m not 100% sure what he meant but I said, “me too.” And I meant it. I know it’s normal…most kids go to Kindergarten. It’s not like we’ve never been apart before. But this feels different than any other change. It’s so big. No one knows him and he knows no one. Who is going to take care of him? Theo is far more confident than I am. I get teary-eyed every time I think of it. I just want it to be a couple months from now when we are in an established routine. We know teachers and expectations and the car pick up and drop off line. I dunno…it’s just hard knowing he is having emotions that he can’t express and there’s not a thing I can do to make this easier for him. He has to figure it out. He has to struggle with uncomfortable feelings. Experiences like this will contribute to the person he becomes. 210/365: Wednesday, July 29th. Theo woke up with a fresh attitude. He even said “I wish today was my first day of Kindergarten instead of my last day of camp.” That made me feel so much better. Tonight at bedtime we were reading The Night Before Kindergarten and there’s a line that says the kids were excited and scared. I asked him if he felt excited and scared, he said yes. When I asked why scared, he said because he won’t know “one single person.” How does that feel when you’re 5? As an introvert, that feels TERRIBLE at 35. I’m glad he adapts more easily than I do. 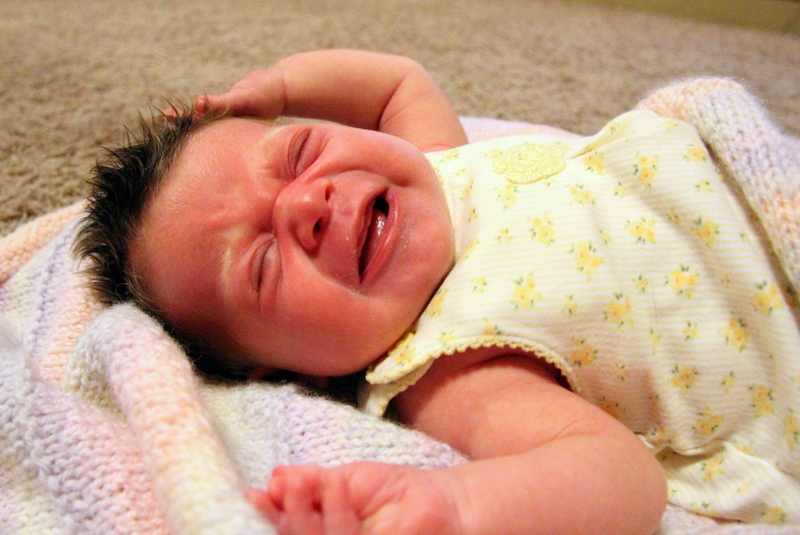 Time for bed….I’ve got a Kindergartner to wake up in the morning. Woo-hoo, we have slipped past the 200 day mark of 2015 – crazy. This time next week I’ll probably be sobbing into my pillow about my first baby boy starting Kindergarten the next day. He’s not nervous but I sure am. It’s pretty backwards that his calm and confidence helps to ease my own anxiety. It should be the other way around but thanks to a combination of his personality and his amazing pre-school / pre-school teachers, he is ready for this big day. Figuring out all the little details has kept my mind busy the last couple of weeks. While I am in not emotionally prepared for this shift, I am looking forward to moving beyond all of the uncertainty during the first few weeks and get into a comfortable routine. 197/365: Thursday, July 16th. School supply shopping with Theo. He enjoyed finding everything on our list like we were on a scavenger hunt. Only it didn’t end with anything cool, unless you call an $82 tab cool. Seriously, though. It’s cute how excited he is. 198/365: Friday, July 17th. It just wouldn’t be a Friday night in Indiana without torrential rain, damaging wind, flash flooding, and no electricity. Right when I wanted to make dinner. 199/365: Saturday, July 18th. FINALLY! 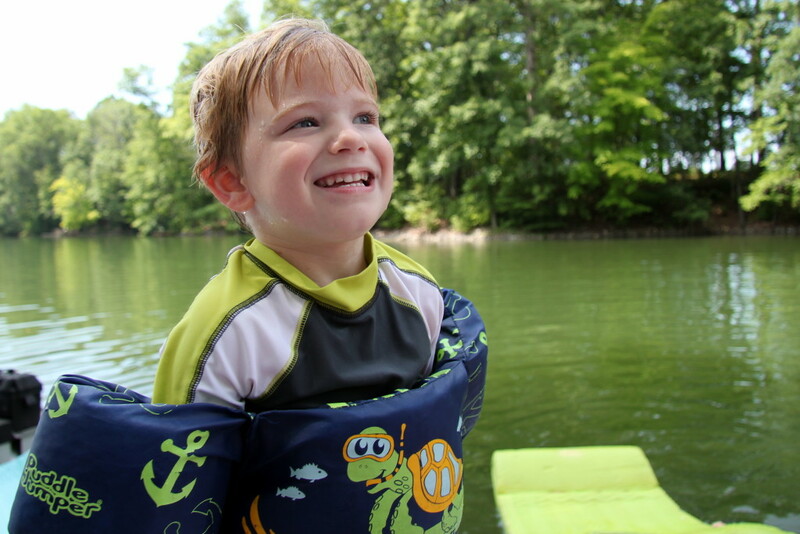 A super gorgeous, super hot day at the lake. 200/365: Sunday, July 19th. The theme of our weekend was fun in the sun. I had a moment out there on my raft this weekend. 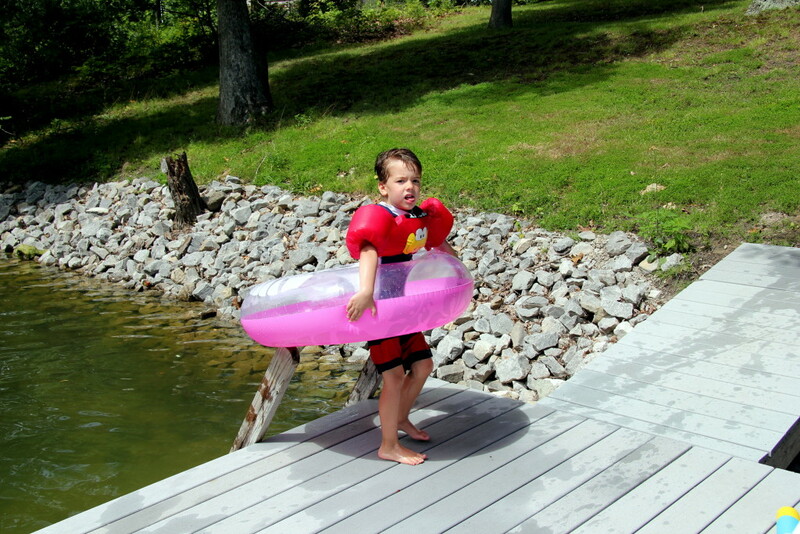 I hope these summer weekends at the lake are culminating into amazing childhood memories for my boys. I hope these memories from their childhood when they are grown are as good as my memories of their childhood. Does that even make sense? 202/365: Tuesday, July 21st. Since it had rained and we’d been gone a lot, we hadn’t mowed the grass in 2 weeks or more. It was super long. 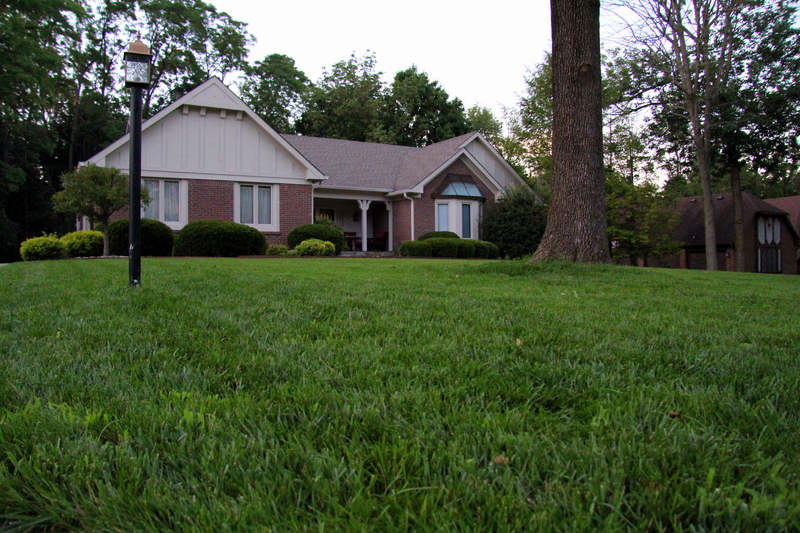 I can’t remember a summer when we needed to mow so often or our grass was this green towards the end of July. The amount of rain we’ve had is ridiculous. 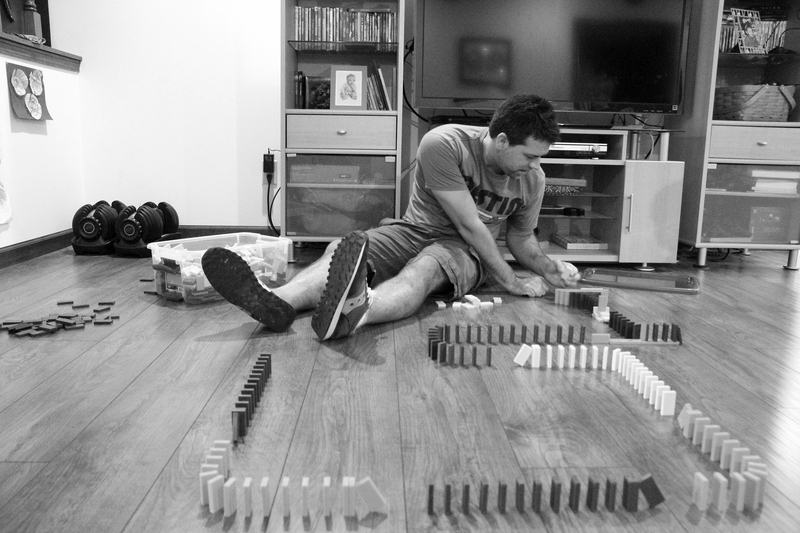 203/365: Ryan’s got the boys on this domino kick. My men are thoroughly obsessed. If you follow me on Instagram (mommyinthemidwest), you may have seen a couple videos. The set ups and tricks are getting more and more elaborate. It’s serious business. Don’t you dare knock down someone’s track! What’s your favorite photo this week? 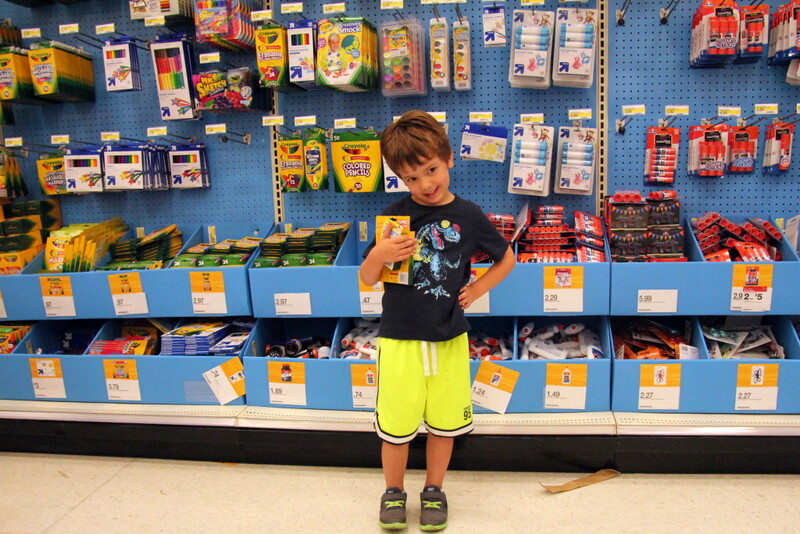 I kinda like that one of Theo picking out school supplies but the lake photos just bring up warm fuzzy feelings and happy family memories. 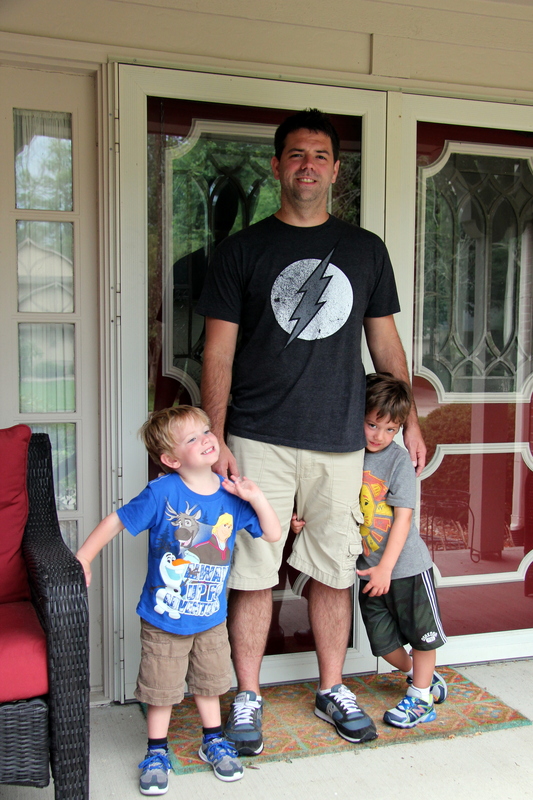 Linking up with Mindi,Stephanie, and Carrie for week 29 of Catch the Moment 365. Hey there …it’s me again. We have been trying to stay dry here in Central Indiana but we’ve had so much rain this summer. Many below average temp days as well. I am hopeful that summer might still show up but we are running out of time. 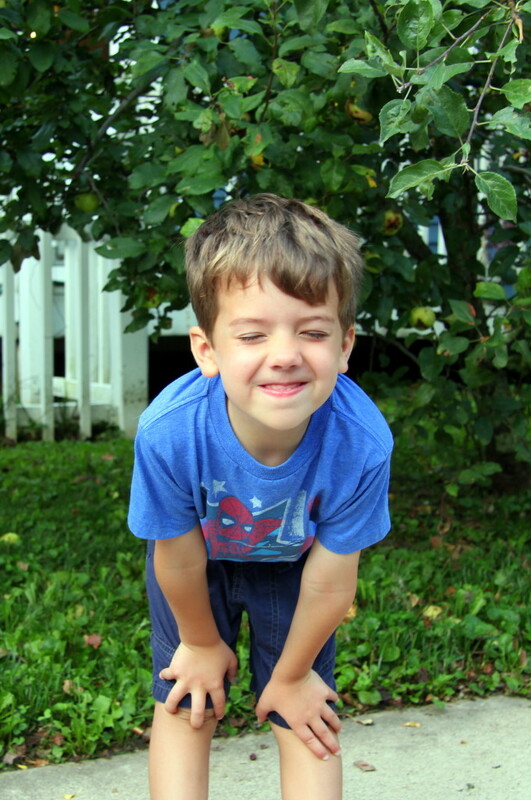 Speaking of time, how is it possible that Theo starts Kindergarten two weeks from tomorrow? I can’t believe it! The process seems a little overwhelming right now with paying for book fees, registration, online registration (which is apparently different), orientation, back to school night, school supplies, transportation and my current uncertainty about infamous drop off and pick up lines…I have no clue what I’m doing (or about to do) but we’ll get the hang of this, right?? There are other parents who have survived sending their little ones off to the big, big world of elementary school, or so I’m told. 190/365: Thursday, July 9th. It had been WAY too long (3 weeks) since I’d seen Kennedy Noelle so we had a little dinner playdate during which I only let Ryan hold her for 10 minutes so I could shove some food in my piehole. She slept the whole time, until I laid her down to try to take some pictures. And this was what she thought about that. 191/365: Friday, July 10th. We spent the weekend with our friends, Corey and Melissa, and their kiddos. Unfortunately they live a couple hours away but it’s a nice excuse for a getaway to spend time with them. 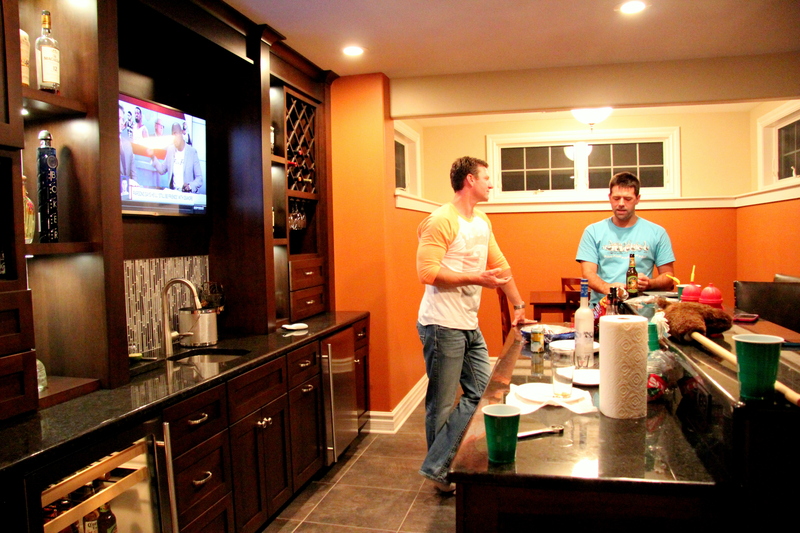 They had a beautiful custom bar built since our last visit so we spent some time enjoying the new amenities at our B&B. 192/365: Saturday, July 11th. We were hoping for a hot, sunny day (or “hot and summer day,” as Theo says) but hey – at least it didn’t rain! 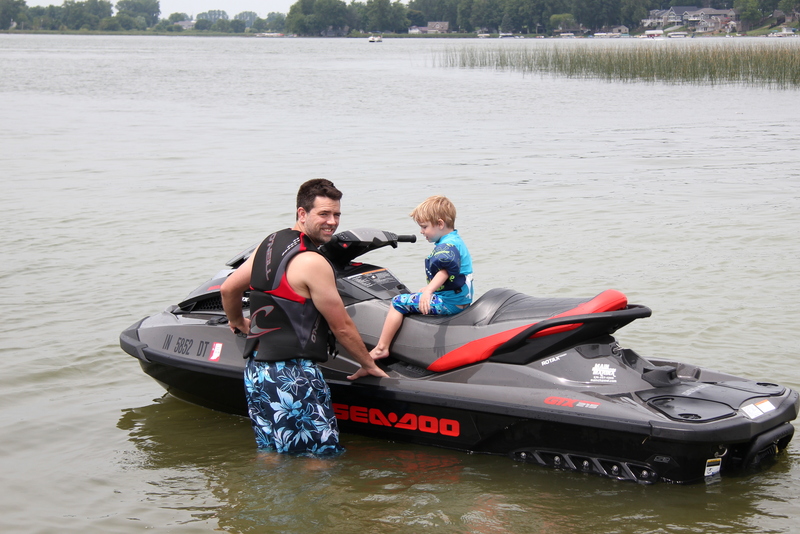 We were able to let the kids play in the lake and take Corey’s jet ski on a few spins around the lake. Dexter was happy to go slow while Theo, the thrill seeker, wanted max speed. SO. FUN. 193/365: Sunday, July 12th. Different kind of bar scene – kids coloring. Theo outlasted them all. He loves to color, write, or draw. As sad as I feel about him going to Kindergarten, I am eagerly anticipating the learning and growth that is about to take place. 194/365: Monday, July 13th. 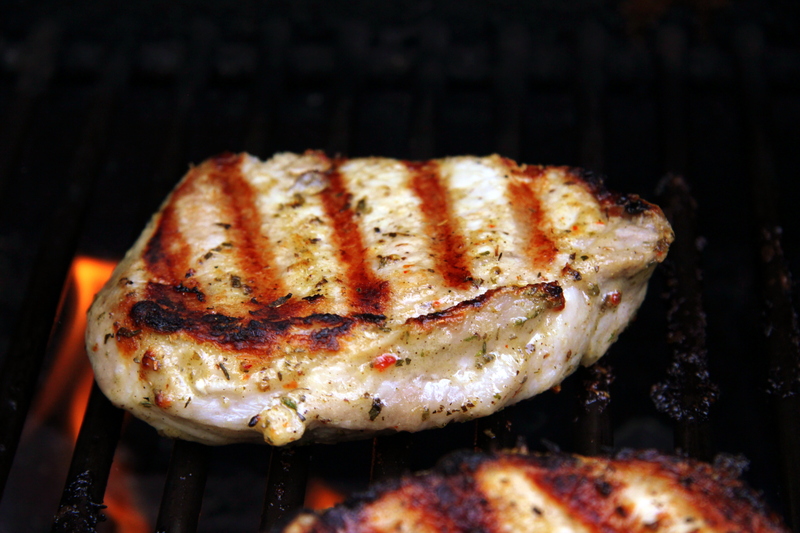 I was lucky to be able to grill these beautiful, juicy, savory, delicious pork chops during a break between two BIG storms that rolled through. The first hit around noon and left many trees down, people without power (including my residence briefly as well as my office), and caused severe flooding. The second was right around the boys bedtime and I have never seen anything like it. Lightning was constantly flashing and illuminated the sky almost nonstop for at least an hour. It was amazing and scary at the same time. The light show was followed by extreme winds and torrential rain, neither of which lasted very long. 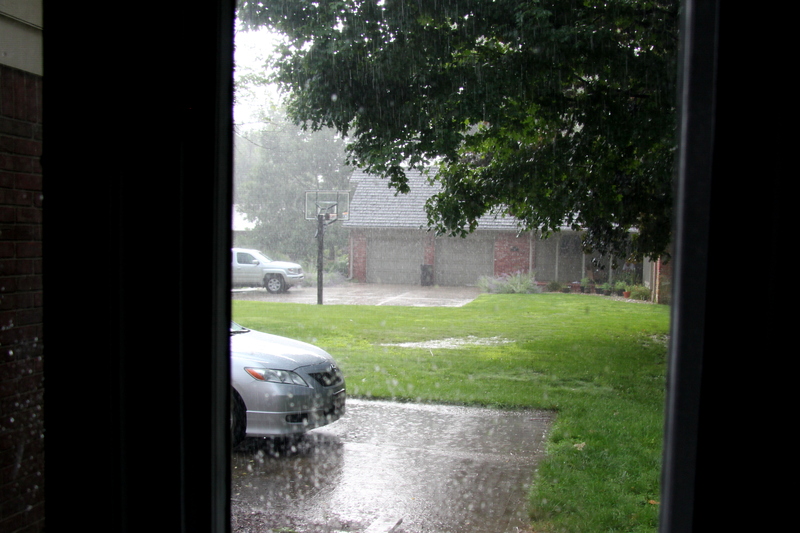 It continued to rain and thunder long after I was able to relax and fall asleep. So much damage has been done and so many crops have been destroyed by this crazy summer weather. Anyway- the pork chops were great. 195/365: Tuesday, July 14th. Boys and their critters. 196/365: Wednesday, July 15th. 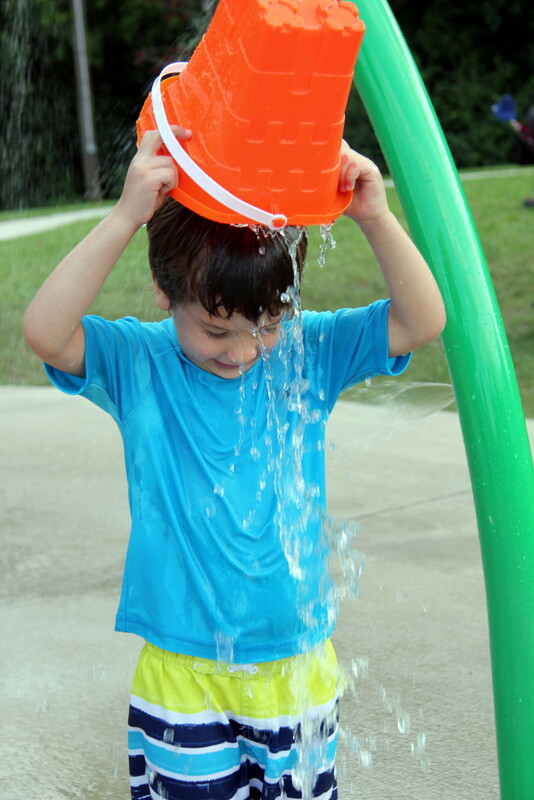 We were at the splash park with some friends when Theo flashed back to September 2014, recreating the ‘ice bucket challenge’ (without ice) repeatedly. Aside from our wild and crazy weather, it’s been a good week. Hope your week has been good too. 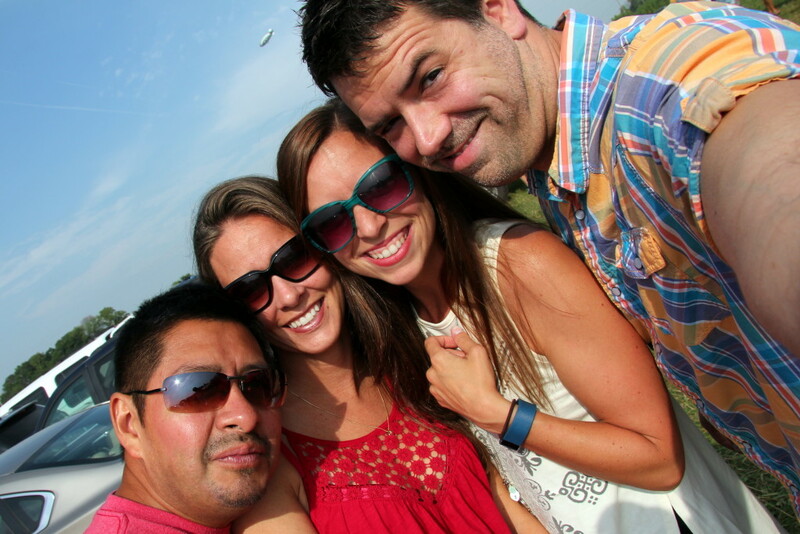 Linking up with Mindi,Stephanie, and Carrie for week 28 of Catch the Moment 365.